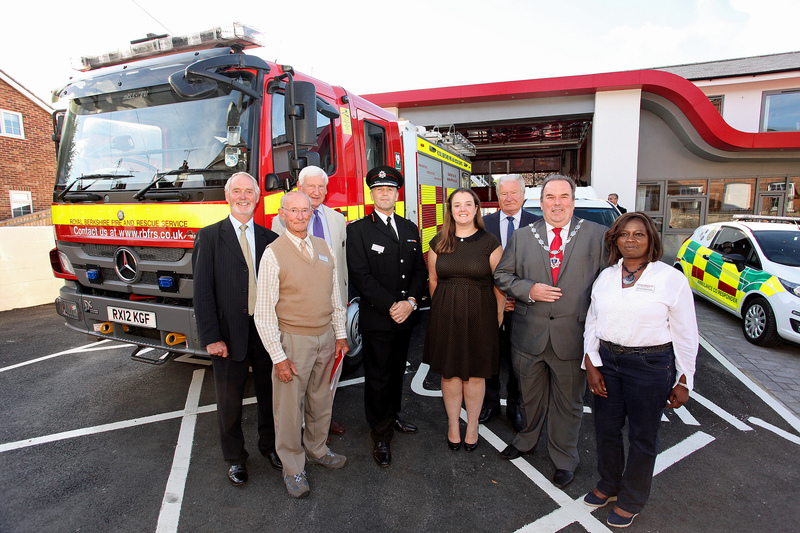 Hungerford Community Fire Station has officially opened following a major refurbishment, which began in November 2016. The refurbishment has not only delivered a modern, fit-for-purpose fire station, but it has also delivered Royal Berkshire’s first community tri-service station, providing shared facilities for Royal Berkshire Fire and Rescue Service (RBFRS), Thames Valley Police (TVP) and South Central Ambulance Service (SCAS). To mark the opening, a ceremony was held on 3 July, where Councillor Colin Dudley, Chairman of Royal Berkshire Fire Authority (RBFA) officially opened the station. Councillor Dudley said, “There are many reasons to be proud of Hungerford Community Fire Station. Not only is it Royal Berkshire’s first station to house all three emergency services, it is a modern, fit-for-purpose station in the heart of the community it serves. The project has been planned by RBFRS and funded by the fire authority to help RBFRS deliver objectives set out in its vision. One of the central intentions is to place Berkshire’s fire stations at the heart of the communities that they serve, enabling people to live safe, fulfilling lives. The completion of Hungerford Community Fire Station follows a shared commitment to collaboration on property sharing and co-location which was agreed by TVP, SCAS and the three fire and rescue services of the Thames Valley in 2015. Councillor Angus Ross, Lead Member for Strategic Asset Management, said, “Through our efforts to improve collaboration with our blue light partners, RBFRS will be able to deliver a higher quality and more efficient service. This whole project has demonstrated that by careful preparation and close cooperation by all the partners, we can provide so much more. The station has reopened with facilities that allow it to be much more than a base from which firefighters respond. As well as a fit-for-purpose station to house a fire appliance, firefighters’ modern equipment and provide a hub for police and SCAS colleagues, there will be training facilities, a community room and a gym to support the community’s firefighters in maintaining their fitness standards. The community room has been added to provide a flexible and modern space for members of the public to book. The room includes a meeting table and chairs, as well as a television monitor that can be connected to a laptop for presentations.